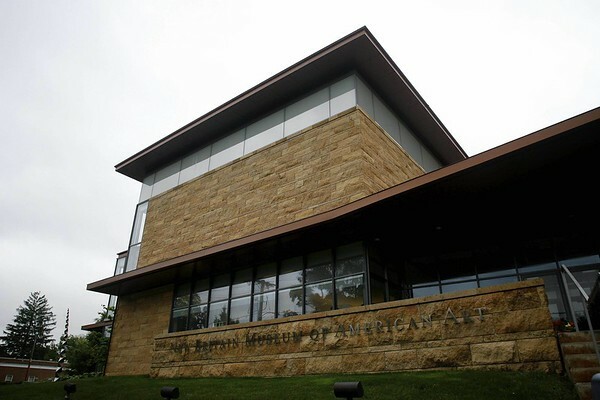 NEW BRITAIN - Surrounded by art and with friends and family looking on, two local military veterans will tie the knot on Valentine’s Day at the New Britain Museum of American Art. Justice of the Peace Janice Edwards will marry Martila Seals and Jeremigan Hooks. It was Edwards who suggested the museum as the location for the ceremony. “The setting is beautiful and the chandelier is gorgeous,” said Edwards. “It’s a very nice and romantic area,” Seals said. As couples continue to search for non-traditional venues for their weddings, sites like libraries, museums, restaurants, even beaches and backyards can be locations for couples to tie the knot. Seals and Hooks first met online two years ago. Hooks, a veteran of the U.S. Coast Guard, and Seals, a veteran of the U.S. Army, had a lot in common. “It’s one of the most romantic days of the year. We’ll never forget our anniversary,” she said. Posted in New Britain Herald, , New Britain on Friday, 9 February 2018 21:18. Updated: Friday, 9 February 2018 21:20.